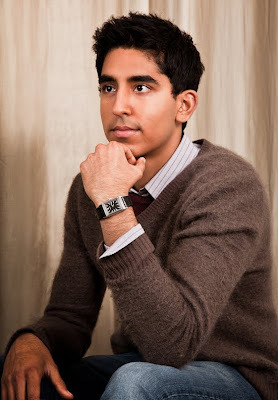 Dev Patel wears a Grande Reverso Ultra Thin Tribute to 1931 in steel with a special engraving that has a personal meaning for the actor: “For years I have had an obsession with doodling Trees wherever I go. It started in high school, to be specific in math’s class, where I would grab a textbook and spend hours perfecting my scribbles – anything to ease my boredom! Over time the image just stuck with me. Just the other day, I remember sketching a tree on a paper napkin for a member of staff who wanted my autograph in a restaurant. The symbol of a tree exudes many qualities one associates with a leader, or even a great partner. A Provider who's Strong, Protective, Sensitive, Rooted, Creative, or even Selfless. Without sounding like a complete hippie, I really feel Trees possess a certain wisdom and mystery which gives them an aura of enchantment and magic. They epitomise new beginnings, much like when a tree loses its leaves and manages to grow new ones. Their real charm and power lies in being able to exude great strength but also immense sensitivity. As someone who's always been curious and eager to learn more, these are attributes which I strive to attain. Let your dreams blossom… “, Dev Patel. Dev Patel is a British actor. He is best known for playing Jamal Malik in Danny Boyle's Slumdog Millionaire (2008), for which Patel won a number of awards, including a Critics' Choice Award and a Screen Actors Guild Award. Patel is also known for his role as Anwar Kharral in the British teen drama series Skins. Dev was last seen in theaters starring in M. Night Shyamalan’s THE LAST AIRBENDER, and recently wrapped shooting a starring role opposite James Franco and Ashley Hinshaw in the independent film CHERRY. He is currently shooting a starring role opposite Jeff Daniels, Emily Mortimer and Allison Pill in Aaron Sorkin’s upcoming HBO series THE NEWSROOM which Scott Rudin is producing. His recent film premiered last week in London, The Best Exotic Marigold Hotel, directed by John Madden. Dev Patel attended the World Premiere wearing Jaeger-LeCoultre Grande Reverso Ultra Thin Tribute to 1931. 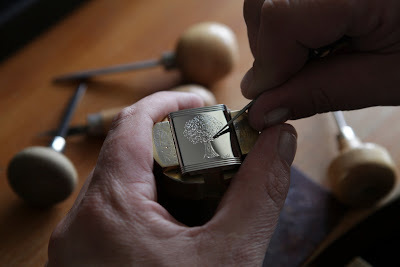 Manufacture Jaeger-LeCoultreA major player in watchmaking history since 1833, Jaeger-LeCoultre is the first Manufacture to have been established in the Vallée de Joux, Switzerland. It played a pioneering role by uniting the full range of technical and artistic professions under one roof and made an indelible imprint on the watchmaking development of the entire region. The Manufacture has an impressive range of world firsts, superlative creations and legendary models to its credit, including the Reverso, the Duoplan, the Master Control, the Memovox Polaris, the Gyrotourbillon and the Atmos. Guided by time-honored know-how and a constant quest for technical enhancements, the master-watchmakers, engineers and technicians craft each watch in harmony with the same passion. Each masterpiece, heir to 178 years of expertise, calls for the exercise of no less than 40 professions and benefits from cutting-edge technologies while being crafted in harmony with the noblest traditions of the Vallée de Joux. 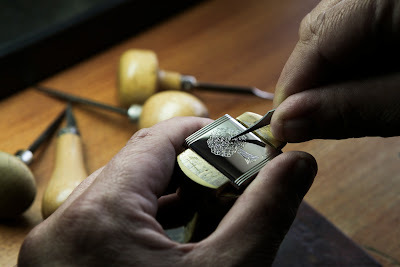 Building on a vast heritage encompassing over 1,200 calibres and 300 registered patents, Jaeger-LeCoultre remains the reference in high-end watchmaking.